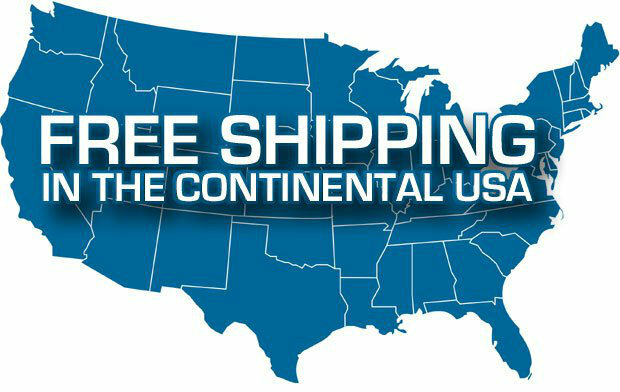 Free Shipping is for regular ground or freight shipments within the 48 Continental United States. Most products ship out within 1-7 business days. Custom items have longer lead times. Large items or heavy items will ship LTL Freight Truck. While smaller package items will ship FedEx Ground, UPS Ground, or USPS Parcel Post. * Please note that some products require a minimum purchase of $ 50.00 to receive free shipping. We try to keep our prices low, but some small orders such as Interlocking Tiles, and bottom seals, do not have enough profit built into the order to cover our shipping cost. We will contact a customer regarding the additional cost for these situations. Unfortunately we may not be able to process the order if it is at a loss. Some products are excluded from our free shipping due to size, weight, and special packaging. Expedited shipping requests or shipments to HI, AK, or Canada will incur additional cost and fees. International shipping is available, please contact customer service for a shipping quote. We are unable to calculate any duty of country taxes that may be due at delivery or to clear customs. It is the customers responsibility to prepare for a broker, or payment of any additional fees. Please e-mail us, or call us toll free at 866-556-6324 with any questions, or direct at 361-906-0863. Unexpected Fuel Surcharges from freight carriers. Freight deliveries are normally curb side delivery unless the customer arranges for a lift gate, or inside delivery prior to delivery (not covered under free shipping). A customer may be required to unload the freight truck themselves, so they need to be prepared with additional help, or arrange for a lift gate. A lift gate delivery or special delivery arrangements are the customers responsibility to be made directly with the freight carrier, any additional fees will be paid directly to the freight carrier. Elite Xpressions is not associated with any freight carriers, and although we work with reputable companies we cannot control how the companies deliver their products or how much the delivery drivers are willing to aid in the delivery.